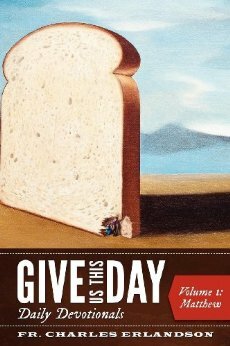 Summary: Give Us This Day is a unique daily devotional commentary for the entire New Testament based on the ancient method called lectio divina. Lectio divina, or “divine reading,” is the method used by the early church and countless Christians through the centuries to read the Scriptures to form and transform the soul more than merely to inform the mind. Rather than writing a short devotional about a particular verse from a passage, Give Us This Day deals in depth with entire passages and their contexts; rather than selecting only certain portions of the New Testament to write about, Fr. Charles has written a devotional for each and every passage of the New Testament. At the end of each day’s devotional, an appropriate Prayer is offered, as well as Points for Further Reflection on the day’s lesson. Each devotional concludes with a suggested Resolution to put into effect what the Spirit has stirred up in the heart of the reader during the course of his reading, meditation, and prayer. Mark is the second volume of an eight-volume series that will provide daily devotionals for every passage in the New Testament.